The Albatros D.V and its D.Va successor were among the most numerous German fighter aeroplanes built during ‘The Great War’. Although the ‘lightened’ D.V shared most of the wing failure problems that had plagued the D.III, and the ‘improved’ D.Va turned in somewhat lacklustre performance figures, these aircraft formed the backbone of the German fighter units (the Jagdstaffeln) in the latter months of the 1917 and into early 1918. With modified and strengthened lower wing fittings, auxiliary bracing struts and beefed-up rigging cables, the D.Va would prove itself a formidable opponent in the hands of an experienced pilot. It was to remain in service right up to the Armistice even when outclassed by newer types such as the Fokker D.VII and Siemens Schuckert D.III/D.IV. 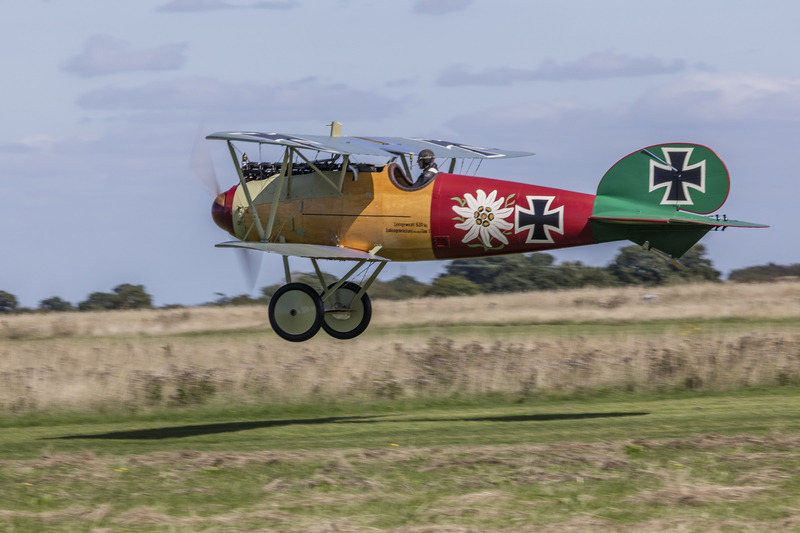 The World War 1 Aviation Heritage Trust (WW1 AHT) has operated two Albatros from its base at the Stow Maries Great War Aerodrome near Maldon in Essex. The first was constructed in 2014 and was in the colours of Leutnant Paul Baeumer who was ninth in the all-time list off WW1 German Aces. He died during an aerobatic sequence at an airshow in Germany in 1927. 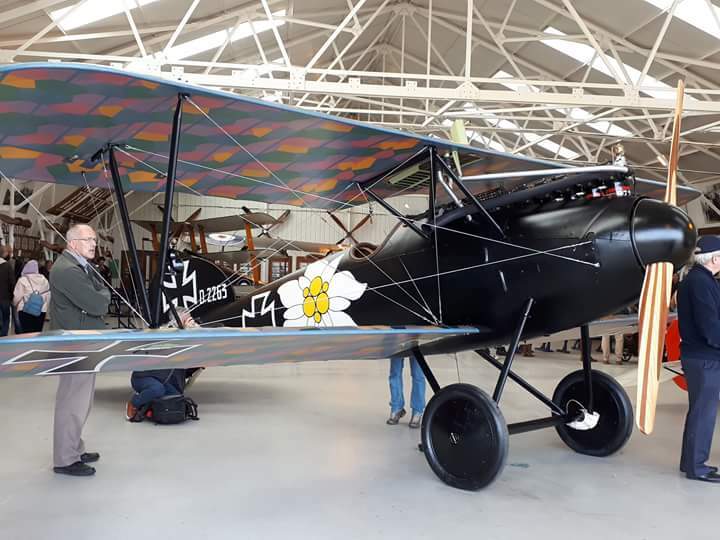 WW1 AHT’s current DVa arrived in 2018 and is in the livery of Otto Kissenberth, a Bavarian, who commanded the Royal Bavarian Jasta 23b and scored 20 victories. He crashed flying a captured Sopwith Camel at the end of May 1918 and never flew again operationally. He died in a mountaineering accident a year later perhaps searching for the edelweiss of Bavarian mythology. It was constructed in 2016 by the Vintage Aviator Ltd (TVAL) of Wellington New Zealand. Both aircraft are authentic in every detail to the original design, no brakes, bungee cord suspension, a wooden fuselage and linen covered wings one with matt green wings and the other with the famous lozenge camouflage.